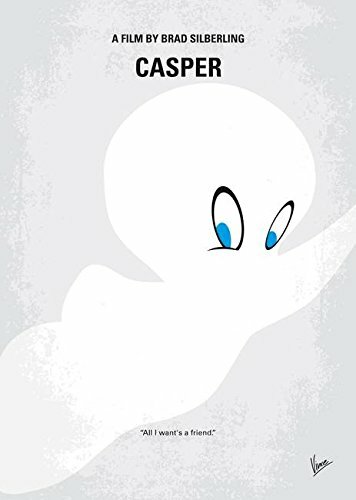 Poster Print entitled 'No752 My CASPER minimal movie poster'. A paranormal expert and his daughter bunk in an abandoned house populated by three mischievous ghosts and one friendly one. Director: Brad Silberling Stars: Bill Pullman, Christina Ricci, Cathy Moriarty e with a 365 day workmanship guarantee. Inks used are latex-based and designed to last. Printed on high quality gloss finish paper with archival quality inks. Looks great in dorm rooms, kid rooms, offices, and more.